There are many species of Gurnard, though the one most commonly marketed is Red Gurnard. Red Gurnard are found in most Australian waters but are most common in southern waters in depths of up to 100m, as far as the inner continental shelf. In commonwealth fisheries, Gurnard is caught as a ‘minor byproduct’ of the Great Australian Bight Trawl Sector (GABTS) Fishery and the Commonwealth Trawl and Scalefish Hook Fishery. Both of these fisheries primarily target high-value deepwater species such as Orange Roughy, Oreodories, Gemfish, Redfish, Blue Grenadier and Deepwater Sharks. Not much biological research has been done on Gurnard in Australia, making it hard to assess. Much more research has been done in New Zealand. They have been found to live for approximately 15 years, and they can grow as large as 2kg and 50cm. 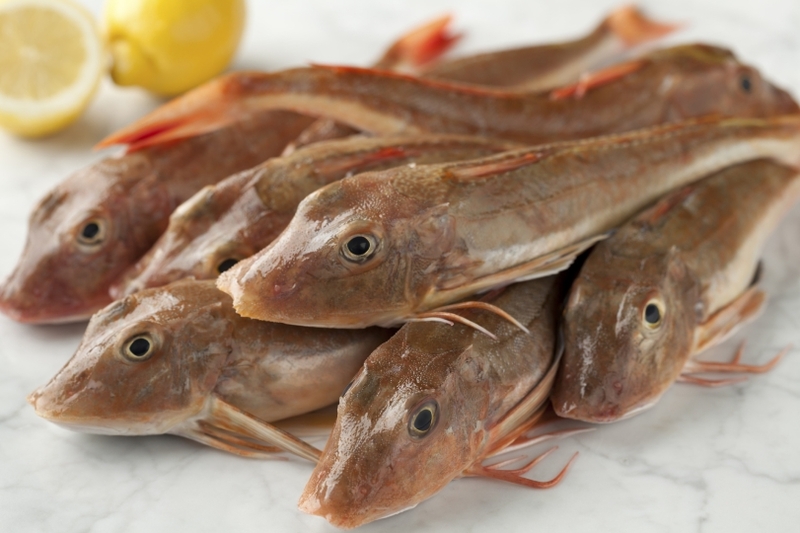 It is likely that Gurnard are fast growing and reach sexual maturity at 2-3 years old. Gurnard have firm flesh that holds together well when cooking. They can be grilled or fried, however they have a very low oil content and the flesh can dry out. To combat this cook Gurnard fillets on a lower heat or using a wet method such a braising. Gurnard can be added to a soup or stew. The bones of Gurnard make good stock. New Zealand conservation group Forest & Bird categorises Red Gurnard as a species of Moderate Conservation Concern, rating them D (amber-concerns), due to the "impact of trawling on benthic habitats" as well as the "lack of current stock assessments, and the lack of a management plan". There are no Total Allowable Catch Limits (TAC) for Gurnard in Australian Commonwealth waters.